Very comfortable for 4 adults. Nicely furnished. Loved the location. We really loved being able to walk to town. Lots of shops, restaurants. Beach near by. Fans in every room, although the one in the living room didn't work. A positive experience. The decision for our family of 4 to stay in this little touch of paradise was a great one. The location and the comfort of the house were simply wonderful. The kids loved having their own beds and the beach across the street was a great place for them to learn to surf (if the waves are to big turtle bay is close by and offers reef protected swimming). The location of this home, in my opinion, is impossible to beat. It was a real pleasure getting to know Earl he made time for us and we felt more like family than tourists! Thank you very much for helping to make this a wonderful holiday. Comfortable home with plenty of room, very clean. Convenient location to town and beaches. 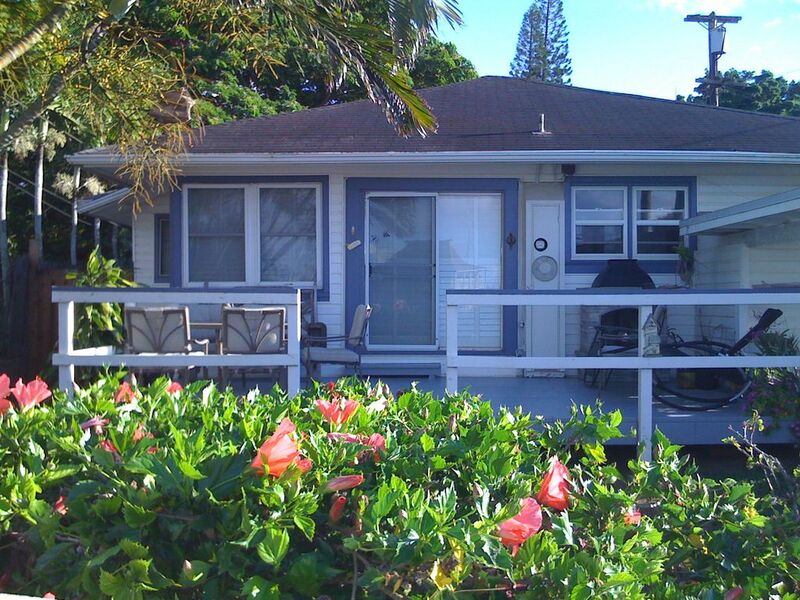 We were extremely satisfied with our stay at Haleiwa house. The house was very clean. Unlike previous reviewers, we thought all beds were very comfortable. The layout of the various rooms accommodated everyone. The house has a charming, beach feel to it. The kitchen is equipped well enough to cook our meals in house if desired. Internet (wireless) was strong and reliable. Upon arriving one of the toilets wouldn’t flush. After calling Wendy, it was fixed immediately. Great customer service! The house is walking distance to the town and beaches. The house is located on a busier street, but it was still a quiet area. Would recommend the home for future guests. Perfect for families. Really great experience! The house was great and within walking distance to lots of activities. We had a great time here and really enjoyed the house. It’s perfect for a family of four, the twin beds and private toilet were a hit with my teenaged boys. We walked into town quite a bit for shopping and fun activities like paddle-boarding, picture taking, Matsumoto’s and more. In hindsight, it would have been worthwhile to stop at Costco on the way there from the airport - the nearby grocery stores are extremely expensive even for basic items. The beach is right across the street past the marina parking lot - great location! Beautiful sunsets every night, picture perfect. Never crowded and we were able to snorkel with turtles! Shark’s Cove isn’t far from here and had the most beautiful sea creatures of all the other beaches we visited. Overall, the house was very simple, quite comfortable and met all of our needs. We recommend this place and hope to come back again!